“Following commit (branch) is drawn incorrectly on the graph. Sure enough, their repository graph was being drawn incorrectly when compared with Git's own output. After a bit of investigation we pinned it down to orphaned branches being handled incorrectly when they reach the end of their history. Orphaned branches are a lesser used feature of Git where a branch can have no relation to previous commits in the repository. We made a small demo repository to replicate the problem. You can see here that the purple line for the master branch needs to join up with the other purple line. It's a small problem, right? Should be easy to fix. This is not a blog post about when it's time to rewrite a piece of code from scratch. We'll save that for another day. The existing graph generation code had been written in a way that was sympathetic to machines, but in no way sympathetic to other humans. To make things worse, the original author has moved on to other pastures, so we couldn't ask them for any pointers. After a bit of head scratching and a few cups of tea the decision was made to rewrite the graph generation. We'd do it from first principles. This time it would be well commented and programmer friendly. Having broken out a notepad we can examine the basic structure of the commit graph. Commits are arranged from newest to oldest, each on their own line. 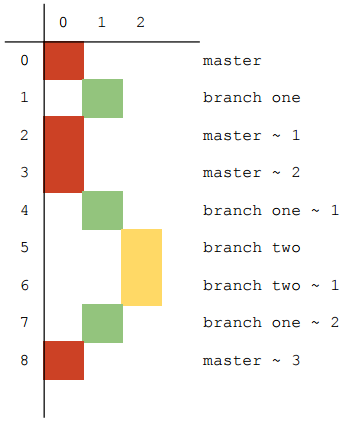 Each commit is also given it's own branch, arranged from left to right. These two pieces of data give us enough information to arrange commits in a two dimensional space. To draw the commits we simply need to iterate over them taking their y-coordinate from their position in the list, and the x-coordinate from the branch. Arranging the branches is simply a case of following the parents of a commit. When a commit is processed, we tag it's parent as belonging to the same branch. If we get to a commit and find it's parent is already in another branch then we know we're dealing with a new branch and draw a split. If a commit has 2 parents, it is a merge and we can draw a line them linking up. With the branch and commit details figured out we know that each iteration will involve drawing a commit and drawing a line for the branch that commit is on. However, we don't necessarily know at this point how long it will be until we meet the next commit on our branch. To deal with this we need to keep a list of currently active branches. Then, every iteration where nothing happens to a branch we can draw a straight line to continue it. It can't be guaranteed that all branches that we render will have their current commit included, makes it difficult to determine the branch name. Since the branch name is never displayed on the graph itself we generate sequential numbers to represent branches whenever we see a new one. It's easier to focus on the frontend code first, since the input data can be easily mocked up. As a newbie to canvas I was worried that it might be the wrong tool for the job, or difficult to work with. Neither of these concerns were necessary, I found interacting with the canvas to be largely thought out and simple. 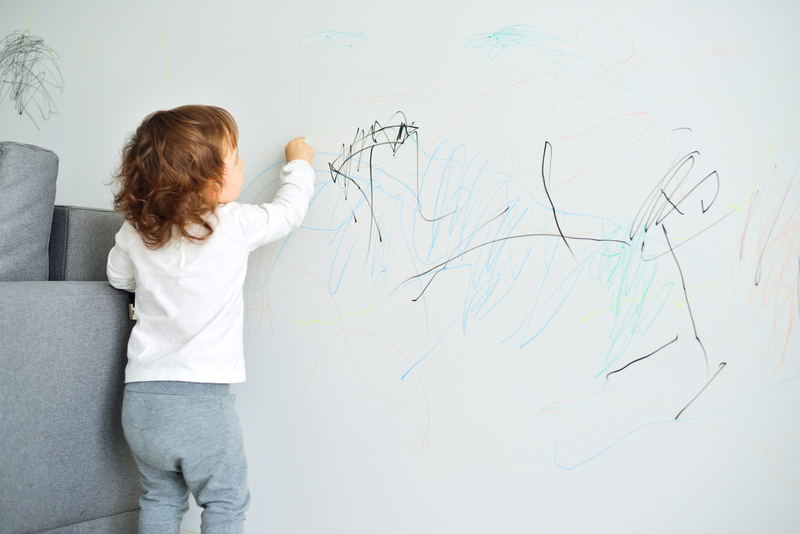 First up, we create our canvas and get a 2D context to draw on the canvas with. // Add the finished canvas to the container to display it on the page. We're almost ready to start drawing our graph. Remember how we reduced our positions to simple two dimensional co-ordinates? We need functions to turn these into absolute co-ordinates that can be used on our canvas. Now we can position our elements on the canvas we're ready to start drawing. We'll need two methods for drawing, one to draw commits, and one for drawing lines between commits. this.ctx.strokeStyle = this._branchColour(route.branch); // Gets a colour based on the branch no. That is the nuts and bolts of the canvas renderer. In our production version we've got a few extra bells and whistles such as scaling for HiDPI displays Bézier curves, for branching and merging. However, I've omitted them from this example for simplicity's sake. We've produced the exact same error. Rats. Time for a cup of tea. Reloading the page shows the brown line now deftly avoiding the orphaned branch. Victory is ours! Now we've got the processing and rendering sorted, let's see what happens when we throw a complicated repository tree at it (Image rotated 90 degrees for display purposes).